Buying a new home can be a challenging, essential process, one that helps the buyer to find satisfaction, not only with the final outcome, new home, but with the price as well. To broker the best price, one must be willing to do some research, ask some great questions, access tax assessment data, compare comps in the area and generally employ strong communication and negotiation skills all along the way. To buy a new home, it takes a lot of patience, communication, physical looking at properties, and then the verbal and, if applicable, the counter offer. A good relationship with your own real estate agent will go far in terms of working together as a unit to find the right price, the right home. Since the real estate agent will make the offer, it is essential to have a working relationship with him or her, beyond one of passing affiliation. This relationship will smooth the way for the larger price negotiations with the owner’s real estate broker, so it is good to have a solid, trusted, confident connection. Once the buyer and real estate agent have settled on which house to buy, the art of negotiation kicks in. Several rules apply; try to keep the first offer positive, upbeat, informative, complete, and fair. Coming in below listing price is the norm; just be ready to make a counter offer if necessary. Also, be ready to discuss the first offer–and be sure to do so at the time. Perhaps you wish to ensure that the offer is in alignment with the town or city tax assessment; a simple public record search will give you the assessed value of the home through the town or city clerk’s office. 1. Accentuate the positive. Try to use positive language, be professional, and explain clearly how you arrived at that number. 4. 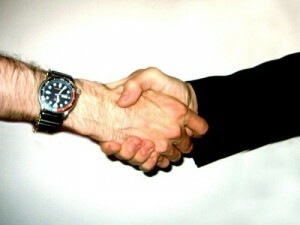 Don’t be overly open or friendly in negotiation. A matter-of-fact tone is likely the most professional approach and will glean results. 5. Give a counter offer in a reasonable amount of time. Be prepared and have a clear strategy ready in this regard. 6. Be courteous without being curt. Take the offers and negotiations seriously. 7. Try not to get gloomy; tomorrow may bring better results. 8. Always discuss new numbers or changes with your team before making adjustments to numbers, offers, or approaches. 9. Don’t worry. Be communicative instead. 10. Remember, it’s just a house–if this one does not work, another will.